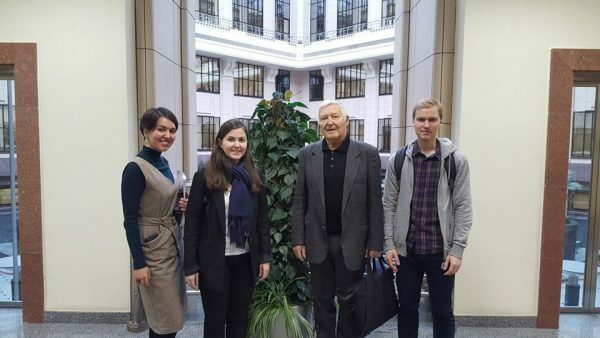 This year, MA students of the Caspian Higher School of Interpreting and Translation took another traineeship at the Ministry of Foreign Affairs of the Russian Federation. 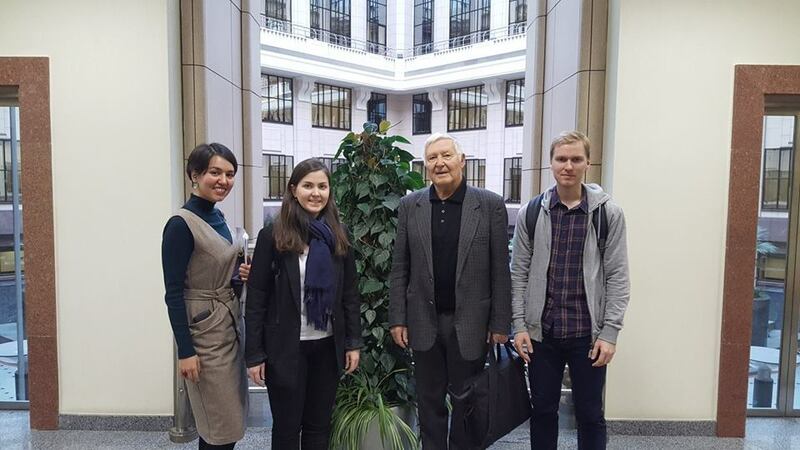 Polina Karabalaeva, Bakhytgul Maymurenova, Dmitry Krutilov and Julia Nikitina spent two weeks there and had an opportunity not only to practise their interpreting and translation skills, but also to get acquainted with the work of the MFA Linguistic Support Department. During the traineeship, the students mastered their interpreting skills under the guidance of leading specialists of the Department. They did sight interpretation, consecutive interpretation, discussed world news and general principles of interpreter’s work. They were trained by experienced professionals and “voices” of the Russian diplomacy at international high-level meetings – Aleksandr Chikin, Oleg Krokhalev and Andrey Zavarukhin. The Department also organized translation workshops for our students. Aleksey Fedorov, Deputy Director of the Department, and Yuri Kozlovsky, Senior Advisor of the Department, helped the trainees to work on the written texts and, according to the MA students, these classes helped them take a fresh look at translation and learn new techniques and translation strategies. The students also visited the terminology division of the Linguistic Support Department and learnt about the terminology work, recommendable vocabularies and basic principles of working with resources. The translation division of the Department even held a special seminar on the English punctuation. 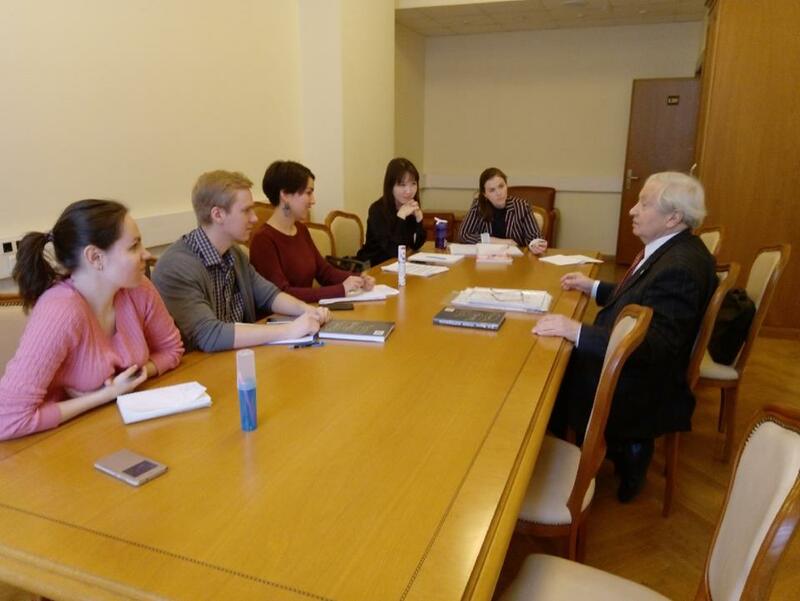 Petr Barulin, a staff member of the Department of Diplomatic Courier Service and the Museum, invited the students for a traditional excursion: he told them about the Foreign Ministry building and the history of the Russian diplomacy. Another surprise for the students was a meeting with Vladimir Faekov – a legendary Russian interpreter. Mr. Faekov shared basic “commandments” for interpreters with young specialists and wished them professional success.